Glasses at San Francisco General raised $3,690 on HandUp! 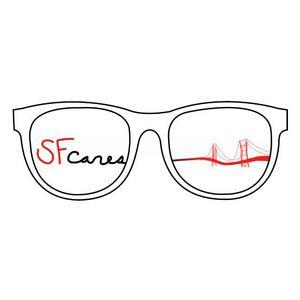 Help us raise $6,000 to provide prescription eye glasses at San Francisco General Hospital in partnership with Project Homeless Connect and Soujourn Chaplaincy. Did you know that medi-cal covers eye exams, but not prescription eye glasses? We want to bridge the gap and make it possible for homeless individuals who get eye exams at San Francisco General (or through special vision events we will host in partnership with Project Homeless Connect) to receive the prescription glasses they need to improve their quality of life, stay safe in the world, apply for jobs and housing and to communicate with their loved ones. >After one homeless youth received a pair of glasses from our project, they were able to get a job, housing and complete their GED. Another homeless individual was able to fill out health paperwork. Sojourn Chaplaincy, who provides spiritual care to patients, staff and visitors of all faiths or no faith at the hospital will help with prescription glasses distribution and funds from this campaign will provide readers for patients in between events. Recently, a homeless Spanish speaking hospital patient, received a bible from Sojourn but was unable to read it without his glasses. Support from this project will ensure that future patients will have the resources they need to connect with their sacred scriptures in their time of need. 50% of funds donated in this campaign will be used to purchase prescription eye glasses. 50% of funds donated in this campaign will support the time of chaplains at Sojourn Chaplaincy to connect with individuals in need and to hand out glasses when they are ready. 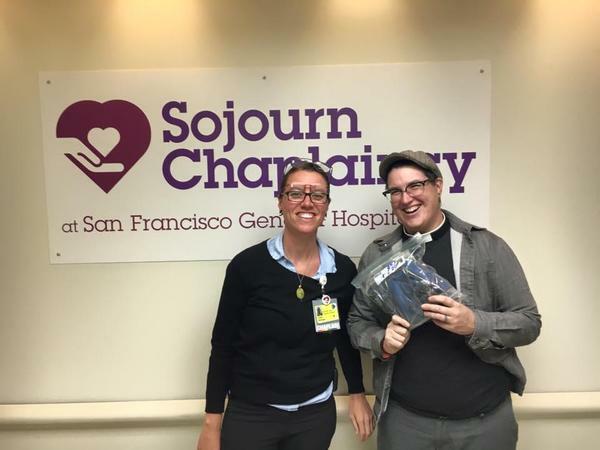 Yesterday 200 reading glasses were delivered to SF General's Sojourn Chaplaincy courtesy of Project Homeless Connect. These readers will help individuals that the chaplains meet with read, connect with sacred scriptures and improve their vision until they can get a full exam. Thank you to all the individuals who have helped us reach half our our goal! We will be scheduling our first event after the hospital finishes moving into the new building this weekend. A $25 donation provides one pair of prescription glasses. A $500 donation sponsors half of a vision event. A $1000 donation sponsors one vision event. You'll start to receive updates in your email on Glasses at San Francisco General's progress.